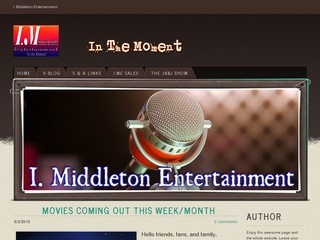 I have an entertainment blog and I talk about everything from movies to book reviews. I will write an article for you on my I.ME Blog about almost anything. Your ad will include photos and up to 150 words. You advertisement will run for one month on each of my I.M.E. blog post. If you have any questions please contact me. Have a great day and I look forward to working with you. I will not write about anything that is illegal and/or anything that I feel is not ethical. Things that the writer Needs: I need to know what you are selling and any photos of your product if you have any. Also, any other information that will go with your product or subject that you want to talk about. If you have a website I need that link to link your website to your ad on my blog and your link and ads will run forever. I will Advertise For You On My Blog is ranked 5 out of 5. Based on 1 user reviews.